Earn $18.32 in VIP credit (1832 points)What's This? 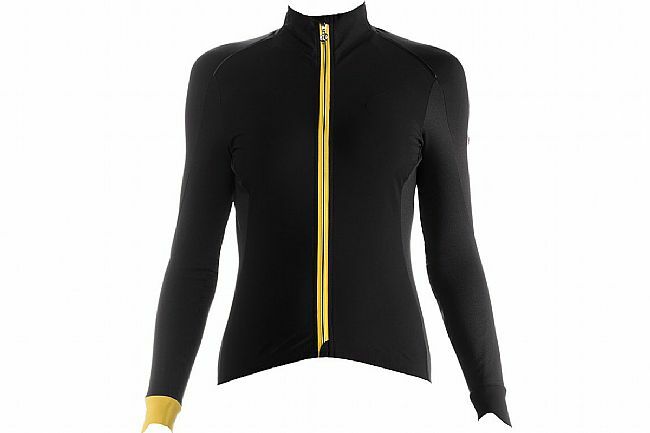 The Women's tiburuJacketLaalaLai from Assos provides comfort and protection during the transitory weather conditions of Spring and Fall. Its primary fabrics - Stratagon Ultra Airblock and Stratagon Millerighe - are windproof, water-repellent, and insulated yet breathable. 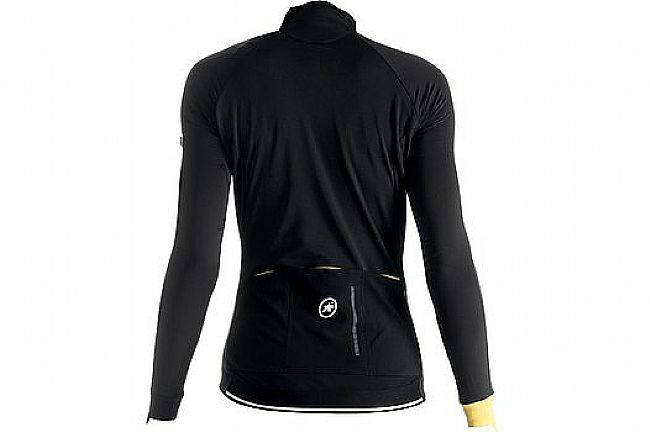 Assos integrates their flat knit, four-way stretch fabric, Craq, for a contoured fit and reduced drag. Twin deck construction mitigates cold, raglan cut sleeves improve freedom of movement, and raw cut, ultrasonic bonded Sens Heavy Tex cuffs provide comfort and heat retention. The rear pockets feature Assos’ triple ramp design, positioned optimally for easy access and stability so contents remain secure even on bumpy terrain. Suited for transitory weather of Spring & Fall. Windproof, Water Resistant, & Thermal. Twin Deck Construction for greater warmth. Full Length Zipper - top & bottom garages. Four-way Stretch for contoured fit.